TOKYO, August 20, 2015 ― Ricoh today announced that it held the awards ceremony of the RICOH THETA Developers Contest at the National Museum of Emerging Science and Innovation (Aomi, Koto-ku, Tokyo), and announced the winning works. Among the 72 works of applications and gadgets enabling RICOH THETA to be used more conveniently or providing a new method of use, "Holobuilder - a web-based virtual reality creator using 360° Theta photos" submitted by the Germany bitstars team was selected for the Grand Prize. "This contest was held to discover additional uses for RICOH THETA, based on the concept of "spread the joy of fully spherical scenes, to all users," and opening up its API and SDK," commented Shiro Kondo, Chairman of Ricoh, as he explained the purpose behind the contest. He praised the participants for all the entries, saying "All of us including the judges found ourselves deeply inspired by the groundbreaking ideas and fantastic work that revealed RICOH THETA's infinite possibilities." Grand Prize "Holobuilder - a web-based virtual reality creator using 360° Theta photos" bitstars (Germany) Web application for adding 3D objects to fully spherical images. Application API Section Award "360HDR" aimino Application for HDR shooting with RICOH THETA. Application Utility Section Award "3D Panorama Image Measuring System PanoMeasure2" Zoomscape Inc. / Investem Co., Ltd. Application for creating drawings and measuring dimensions based on fully spherical images. Gadget Section Award "Ambisonics360 Microphone" Qos_mic Multi-channel surround microphone for recording 360 degrees of sound. RICOH THETA Award "Theta GPS" Cornelia and Harald Meyer (Austria) Application that allows people to start and stop shooting automatically when a specified point is reached. "CliPETA" Tsukasa Ishimura Application that allows people to create a single, fully spherical image by splitting a 360-degree view and taking multiple photos. "360 Coffee Shop" 360 Coffee Shop (Hong Kong) SNS application that allows people to share information about coffee shops along with fully spherical images. "Portable Panorama Player" MIRO A panorama player running on a browser that eliminates the need for a dedicated viewer. "Kirari-NINJA Smart Camera for Engine Maintenance" Nippon Yusen Kabushiki Kaisha (NYK LINE) / MTI Ltd. / Daito Electron Co., Ltd. A gadget with illumination and coolants for shooting the inside of the engine of a ship. Judge's Special Award "Journey360" Taosoftware Team Sandie Application for creating a map to trace memories with fully spherical images. "THETA PACKAGE HMD" itachin A gadget that transforms the RICOH THETA package into a simple head-mounted display. "Nakayoshi Box" ParkCaravan Steering Committee An amazing box that will make everyone smile when they look inside together. RICOH THETA Developers Contest was open to the world. It was held only for about two months, but it received attention from all over the world and there were many submissions. Those who seem to know RICOH THETA inside and out handed in very convincing submissions. Some others were practical and can be used immediately, and there were eye-opening submissions. The main judging theme was "innovation." Prizes were given based on the judging criteria: creativity (originality), future outlook (potential, extensibility) and benefit (practicality). "Holobuilder" adds images and comment to RICOH THETA photos. It is common for 2D photos. But the vision of incorporating the function in spherical image handling, moreover the feeling of affixing stereoscopic image in space is innovative. I feel real potential in this direction. Holobuilder received the Grand Prize for its well-combined open components, and its degree of perfection and practicality as well. "360HDR" won the Section Award since it provides a function everyone wanted for RICOH THETA. It was regarded as a normal evolution rather than innovation, but it has a high degree of perfection and is beneficial. "3D Panorama Image Measuring System PanoMeasure2" is exceptionally practical utilizing RICOH THETA and genuinely for professionals. If it becomes an easy-to-use application, it may be handy for the general population, e.g., "It can take the measure of the size of a certain space necessary at home while you are at a furniture store". "Ambisonics360 Microphone" solves the issue immediately raised when viewing spherical movie taken using RICOH THETA, a 360-degree video combined with audio on HMD (Head-Mounted Display). The strong will to tackle the difficult issue and the potential are recognized. Some submissions with different viewpoints from the judging criteria―highlighting on "cute" and "interesting," so to speak, came up in conversation at the judging meeting, and "Honorable Mention" was hastily established. A representative work is "Nakayoshi Box" which captures the faces of the people facing each other at the same time. This is fun to use among intimate people. (If they are not intimate, it may be very awkward.) The concept of implementing only this function and providing it in a big box is precisely innovative. This submission won the Honorable Mention as it was a total surprise. The contest will continue next year, and we plan to add categories for "cute/interesting" to the judging criteria for the next contest. Nevertheless, we may see submissions beyond our expectations―I felt such "jack-in-a-box"-like potential through this first contest. * See the dedicated contest website for all the comments. Ryotaro Muramatsu, CEO/Director, NAKED Inc.
* All the company names and product names in the news release are the trade names, trademarks, or registered trademarks of their respective companies. UNL promotes research and development in ubiquitous computing and IoT (Internet of Things) technology, in which many objects in our surroundings are embedded with small computer nodes with sensors and actuators that communicate with each other and operate in a cooperative manner to offer sophisticated services to human users. Miraikan highlights cutting-edge science and technology as "new knowledge and innovation" through various methods, such as permanent and special exhibitions, talk sessions, experimental classes, on the web, through publications, and videos. To arouse the interest of the general public, Miraikan is developing methods of expression and communication to present the information in an easy-to-understand manner. 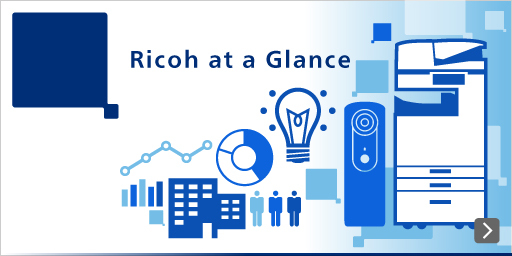 *One of its official partners since October 2006, Ricoh is helping the next generation get acquainted with science and technology.